Between Windows, Macintosh and Linux based operating system. There are constant updates and complete revamps for each individual OS. Users constantly ask the same question “Why should I upgrade? I already know how to operating this OS I don’t want to change or upgrade.” Being that when a new operating systems come out it might not be “required” but is highly recommended. Detailed below we will be discussing the perks from upgrading along with the long term side effects of refusing to upgrade/update. Plain and simple, if you are running an operating system prior to Windows 7 (I.E. XP, Vista, 95) you need to be moved off immediately. If you plan on taking advantage of the basic and daily functions of a computer. Anything prior to Windows 7 is unsupported at this point. There are some situations where this is untrue. Some users specifically use a computer for a single purpose and nothing else. Like a simple program that runs test on motor vehicles, or operates machinery. Where this technology was developed 10s of years ago and unsupported by anything else. If that is not the case though, an immediate upgrade is highly recommended. *IMPORTANT* Even though Windows 7 is currently supported and still having updates being released, with the release of Windows 10 that could potentially change quickly within the coming months/years. With the new release of windows 10, many users are already making the switch over to the newest generation operating system. The reason is simple, Windows 10 at this time is a complete free upgrade from your previous OS (Windows 7, 8, & 8.1 are the only valid OS’ for upgrade). An immediate upgrade is recommended for all users before the deadline of July 29th, 2016. 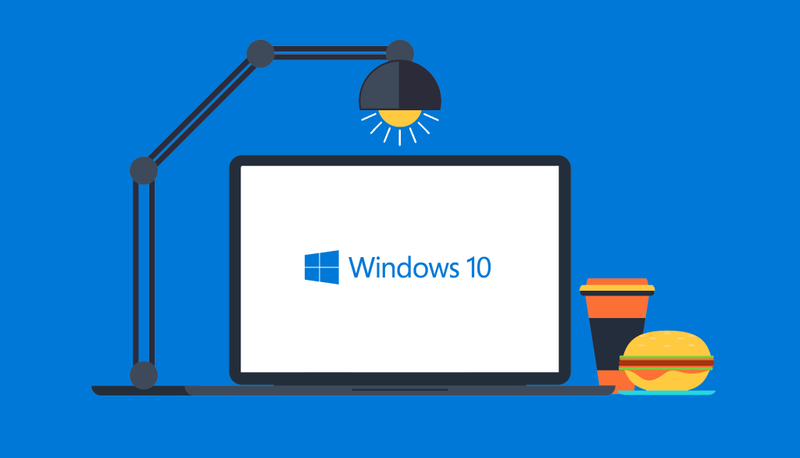 HPCS is recommending Windows 10 for all users for quite a few reasons. If a user is found to be using Windows 7, an immediate upgrade is recommended while it is free since 7 will be the next operating system to be unsupported by windows updates and other new age programs. Windows 8 & 8.1 still have a solid shelf life to them but considering how terrible the OS was, the added features and original ones brought back from 7. A user should want to upgrade. The only times a upgrade would not be recommended is when a program a user requires for their daily activities is unsupported on Windows 10. The most that HPCS is discovered is the programming and connection issues with Quickbooks 2014 and previous version not working smoothly. All other programs that are standard in today’s technological society work just fine. One of the core reasons for a new OS besides helpful additions for users are security upgrades. With how reliant on technology our society has come to and what a user actually keeps on their computers is highly sought after by hackers. Eventually a hacker will find kinks in an operating systems core registry to avoid detection and steal any personal and financial data they might be after. This is also another reason why there are constant windows updates to provide “security checks” to prevent these kind of disasters from happening. The best practice to preventing this is constantly keeping updated with updates, operating systems and good browsing habits. Along with the software that operates on a CPU, there is also the hardware involved that must be supported by the installed operating system. When new technology is released, the drivers or the BIOS programming that recognizes the hardware is subjective to the OS installed on the hard drive. This issue arises mostly with common hardware like printers/scanners and fax machines. The drivers supporting the FULL functionality of that device might not be supported if a user is on an outdated operating system. With the reasons stated above, if a user plans to keep up to date and protected. When a new operating system is released it is well advised to switch before it is too late. HPCS and its staff of highly trained technicians are available to guide a user through this process while offering the price of the software at a discounted price. Where as a retail location will offer the CDs and key attached to the windows OS a user is trying to upgrade. HPCS receives its keys from an OEM vendor and while the store bought price usually exceeds $200, HPCS can offer keys and OS upgrades as cheap as $95 depending on the required OS a user is seeking. All HPCS OEM keys are guaranteed to be genuine or they will be replaced for free (some terms and conditions apply, call up HPCS today for a full list of terms.) Stop waiting around for your computer to go obsolete, call up HPCS today and get you geared in the right direction.